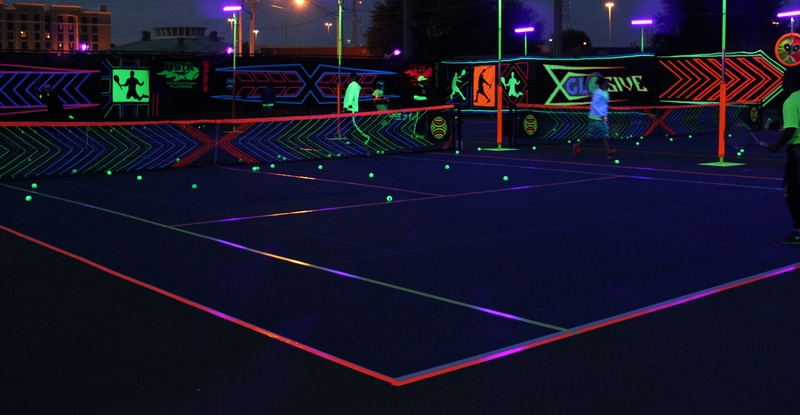 A spectacular new tennis experience for all ages! No pressure on the court! 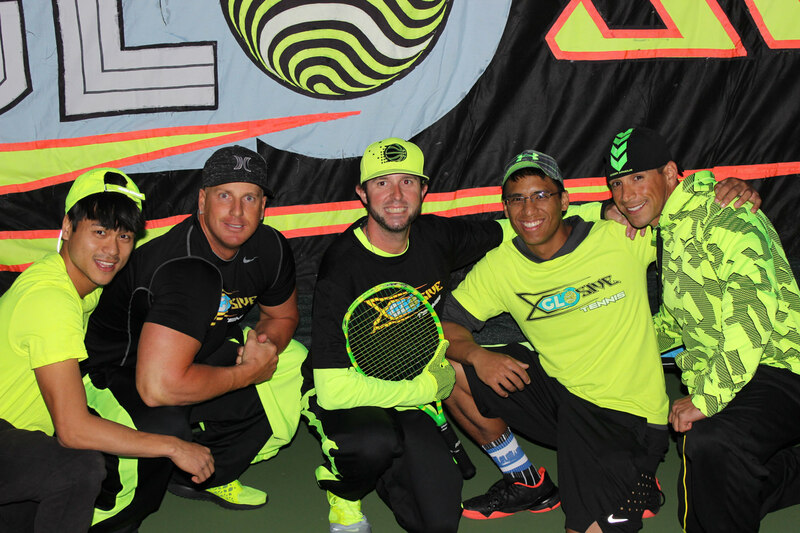 XGLOsive turns traditional tennis into a fun, no-pressure social experience for people of all ages and abilities. 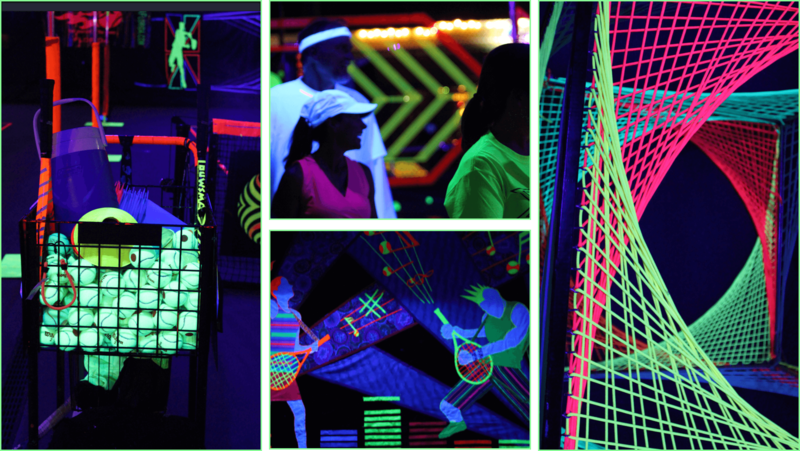 Unlike traditional tennis events, XGLOsive takes the pressure off and turns the music and the fun way up. The XGLOsive team is fun. These guys aren’t there to teach you how to play, they are on the court to play WITH you and make sure you are having a great time. 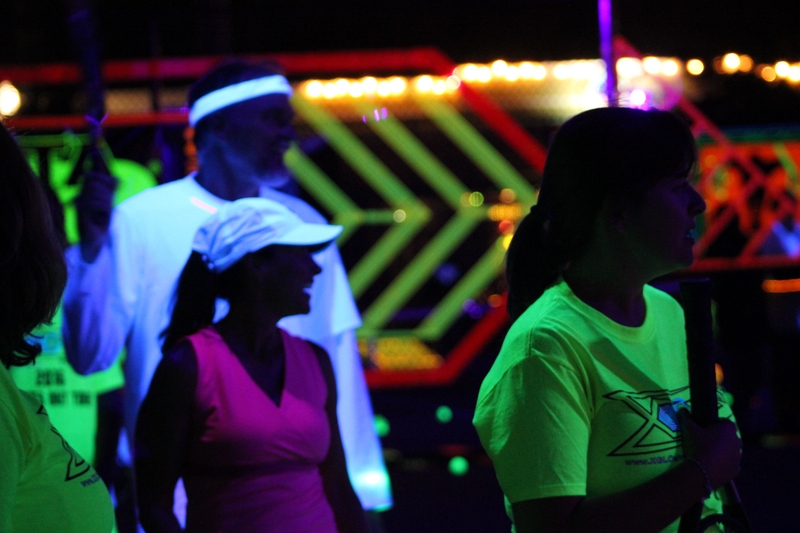 Black lights and music make this a party – you can talk, laugh and make friends and socialize. It’s a game, not a competition. No set partners – everyone plays together. Any players can win any point and take the court. No serves, easy games that can be modified based on player experience. XGLOsive is available for events at your facility. Find out how to bring XGLOsive to your facility!